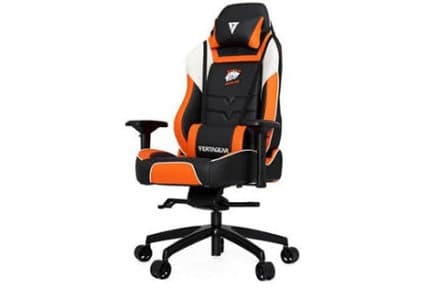 Vertagear SL5000 Review 2019 - So Is This Gaming Chair Worth It? Buying mid-budget products is the hardest, isn’t it? It’s difficult to know if you’re compromising on quality or simply paying too much for a basic item. That said, once you know what to look for, you can find some real diamonds in the rough. 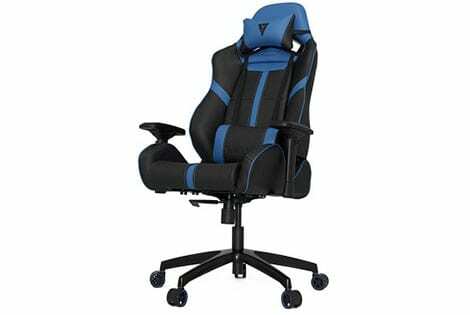 Today’s product, the Vertagear SL5000 is a mid-range gaming chair with a lot to offer. In this article, we’ll be examining it for strengths and weaknesses so that you can come to a decision as to whether it’s suitable for your needs. Now, let’s jump right in. There are many gaming chairs that embrace the racing-style seat, but the SL5000 takes it one step further. The arms, backrest, and seat almost envelop the user, keeping you in place and spreading your weight throughout your body instead of putting it all on your lower back. While none of the colored variants are particularly awe-inspiring, they all look quite good. The colors are more muted than you might expect, which gives the chair a classy, almost expensive appearance. It definitely looks like it costs more than it actually does (around $350). This chair comes with premium foam padding, and a reinforced steel frame to ensure you’re comfortable and stable at all times. You can tilt the seat or recline as you like (between 80 and 140°, and there are five lockable positions to choose from. Notice the adjustable lumbar and headrest cushions. These can be removed entirely if you’d prefer, but since the backrest is flat, we strongly advise using them. There’s one more small feature that’s rarely seen: the armrests have divots in them so that your arms slide right in. It’s unusual, but if it makes you more comfortable, who are we to complain? We’re big fans of vented designs, so it’s nice to see twin cutouts in the backrest. The colored stripes are also breathable, so you can remain cool even in the hottest environments. These also ensure that you’ll benefit from any fans in the room, even if they’re behind you. The SL5000 comes with several advanced features including 4D armrests that can be rotated in or out, as well as automatically locking casters. These lock up whenever you sit down, so you’ll never roll away from your desk at a crucial moment. There are also several caster upgrades on offer, which is fairly typical of mid-range chairs. What’s not typical is the price: these upgrades cost between five and ten dollars, whereas some competing chairs price them at $25 or more. 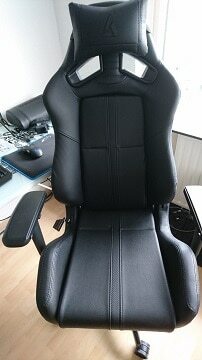 It’s great to see that Vertagear aren’t interested in milking their customers for every last cent. Because of the sturdy base, this chair is capable of supporting up to 330lbs of weight. If you’re on the heavier side, there’s no need to worry about breaking it. While the website says it has a weight limit of 260lb, the actual specification sheet says 330lb, which is about standard for this kind of product. 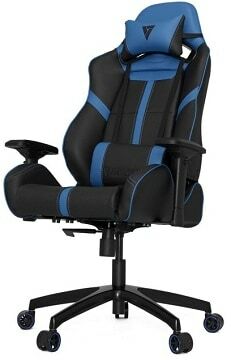 The Vertagear site includes manuals for each of its chairs, FAQs, and a contact form for customers who require help. There’s also a page for registering your chair, but this isn’t required, even if you’d like to take advantage of the warranty. On that note, Vertagear offers a two-year warranty on all parts and ten years on the frame. They don’t offer refunds, though – it’s repair or replacement only. You should also note that they can refuse to repair heavily soiled or abused chairs, so it pays to take care of your new purchase! It’s worth mentioning that this warranty doesn’t cover damage you’ve caused or natural deterioration caused by aging. Unfortunately, there are no replacements for discoloration or wrinkling, but that seems like a fair trade in exchange for a ten-year guarantee on the frame. The SL5000 is a reasonably priced chair that gives its user the ability to fully customize their experience. We’re big fans of the color scheme and design of this model, and loved the inclusion of features usually limited to more expensive chairs. 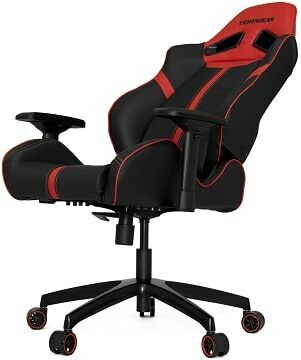 We’re actually surprised that this gaming chair costs what it does. 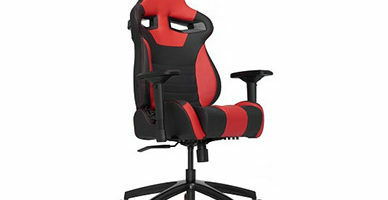 The high-quality filling almost always drives the price up, as do 4D armrests. Still, this just means you can have a solidly-built, versatile chair for a fraction of its usual cost, and who doesn’t love that? 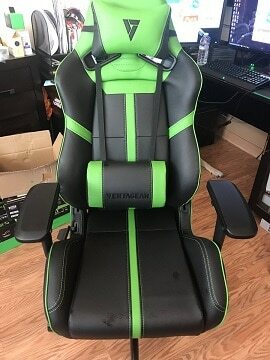 So, overall, is the Vertagear SL5000 worth it? In most ways it is. You can't go wrong with this chair.